While some shooters are content with an off-the-shelf firing experience, many of our customers are searching for ways to improve the accuracy of their AR-15 and to help maximize their shooting experience. When you want to enhance your accuracy, AR-15 trigger upgrades are a great first step toward achieving that goal. What makes an upgraded AR-15 trigger superior to what comes standard? Break is important. A good trigger’s break should be unpredictable — that is, you as the shooter shouldn’t be able to anticipate the break. That might cause you to flinch, which reduces accuracy. Quality AR-15 triggers break quickly, which prevents you from struggling to apply enough force to discharge the firearm. The fast break also enhances your ability to set up for the next shot. As you search for AR-15 triggers, here are other considerations to keep in mind. And remember: AR-15 trigger upgrades deliver huge returns. This is a small change that can have a dramatic impact on your shooting accuracy. Trigger Pull Weight: Trigger pull weight is essentially the force you must apply to the trigger. The higher the pull weight, the more force that must be applied and the harder it is to pull the trigger. The pull weight typically ranges between three and six pounds. There’s no right answer to the proper pull weight. Rather, the proper pull weight depends on how you’ll be using your firearm. If you’re using an AR-15 in combat, you may want a heavier pull weight to ensure that the firearm only discharges when you want it to. Conversely, if you’re using your AR-15 trigger in competition, it may be advantageous to have a lighter pull weight. This increases accuracy and decreases the amount of time between rounds. Yes, a lighter pull weight increases the odds of an accidental discharge, but that’s often worth the tradeoff in a competition environment. Single-Stage vs. Two-Stage Triggers: You’ll find two distinct types of AR-15 triggers: single-stage and two-stage. Single-stage triggers are simple and straightforward — you pull the trigger until it breaks and the firearm discharges. Two-stage triggers present a different experience. The first stage provides greater pull weight, but then it gives way to a second stage which presents less pull weight until the trigger breaks. Like pull weight, there’s no right or wrong answer on which type of trigger is right for you. It comes down to personal preference and what makes you feel most comfortable. Some believe a single-stage trigger is best for shooting in close quarters, and that a two-stage trigger is most adept at achieving long-range accuracy. Try out both types and determine which best meets your unique shooting needs. Installation: You’ll find a number of options when looking for AR-15 trigger upgrades. When searching, think about more than just the performance of the trigger — think also about the ease of installation. If at all possible, choose among AR-15 triggers that offer drop-in installation. This is far and away the easiest type of AR-15 trigger install, and it can be accomplished in just a few minutes. Use these key considerations to narrow your search and find the perfect AR-15 trigger upgrade for your needs. We recommend that you test out different pull weights and both single-stage and two-stage triggers before making an investment. Also, try to learn more about drop-in installation and how it can benefit you. Once your research is complete, you’ll be set to choose from among a selection of AR-15 trigger upgrade options. At Wing Tactical, we offer a range of AR-15 trigger upgrades from leading industry manufacturers. These top brands include RISE Armament, CMC, American Trigger, Timney, Elftmann Tactical, and many others. We offer our AR-15 triggers as part of a huge selection, because we know how important it is for you to find the perfect product for your unique shooting needs. You’ll find both single-stage and two-stage options, as well as AR-15 trigger upgrades that offer a variety of pull weights and different installation approaches. Our mission is to ensure you get exceptional customer service, quality merchandise and real value when you choose Wing Tactical for AR-15 triggers. As part of our commitment to customer service, we offer next-day shipping and hassle-free returns within 30 days. Get in touch with us if you have any questions or need guidance as you explore AR-15 trigger upgrades. 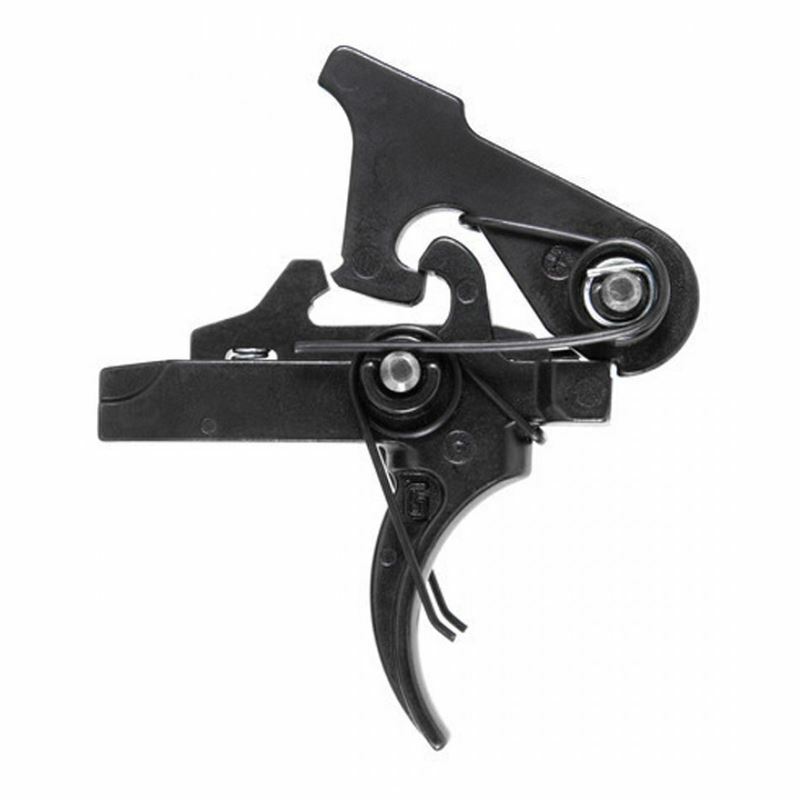 Browse our selection of AR-15 triggers and find the perfect upgrade for your needs.